They're not screwing around at Skaf's. 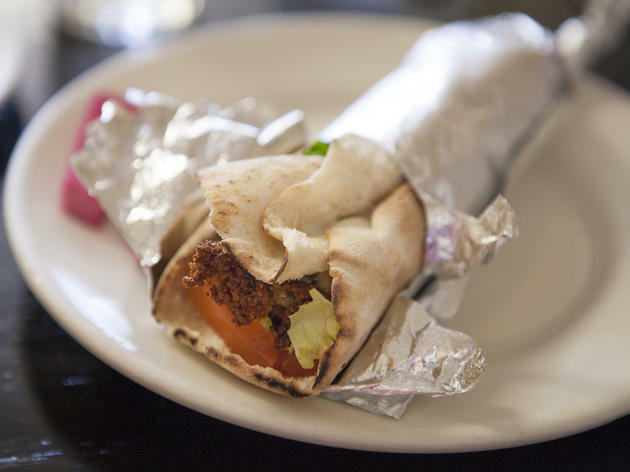 The traditional Lebanese restaurant, which has locations in both Glendale and North Hollywood, offers an impressive variety of traditional dishes with plenty of flavor. You’ll often find owner—and namesake—Salim Skaf manning the grill, taking orders and describing their fantastic specials, like whole branzino and stuffed eggplant. The falafel sandwich, wrapped in tightly toasted pita, stands out as a filling snack at only $5.50 a pop; each delicious chickpea nugget is satisfyingly crispy and hearty. 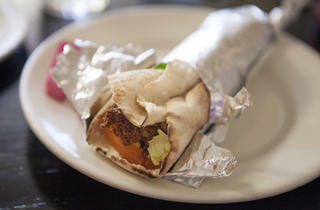 If you’re looking for a meal, we suggest adding some dolmeh ($5.95) and a side of hummus (4.95) to your order.